The abbot of Esphigmenou Monastery saw in St Anthony the great future ascetic, and inspired by God, he sent him back to his native land, saying, "Anthony, it is time for you to guide others in holiness. Return to your own Russian land, and be an example for others. May the blessing of the Holy Mountain be with you." 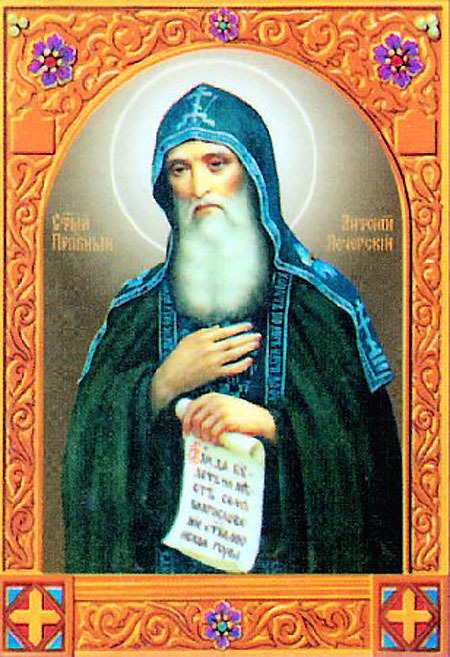 Through the Providence of God, Anthony came to the hills of Kiev by the banks of the River Dniepr. The forested area near the village of Berestovo reminded him of his beloved Athos. 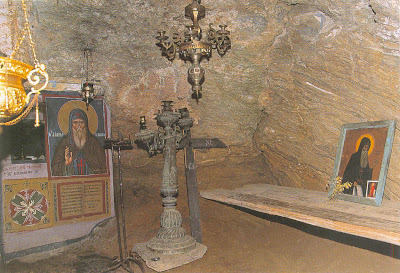 There he found a cave which had been dug out by the Priest Hilarion, who later became Metropolitan of Kiev (October 21). Since he liked the spot, Anthony prayed with tears, "Lord, let the blessing of Mt. Athos be upon this spot, and strengthen me to remain here." He began to struggle in prayer, fasting, vigil and physical labor. Every other day, or every third day, he would eat only dry bread and a little water. Sometimes he did not eat for a week. People began to come to the ascetic for his blessing and counsel, and some decided to remain with the saint. Among Anthony's first disciples was St Nikon (March 23), who tonsured St Theodosius of the Caves (May 3) at the monastery in the year 1032. 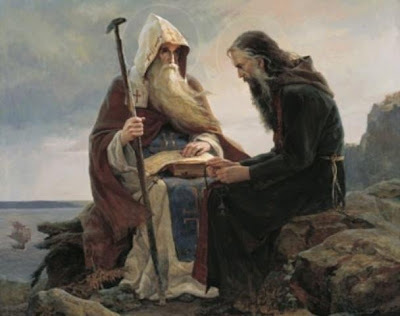 The virtuous life of St Anthony illumined the Russian land with the beauty of monasticism. St Anthony lovingly received those who yearned for the monastic life. 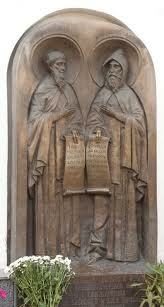 After instructing them how to follow Christ, he asked St Nikon to tonsure them. When twelve disciples had gathered about St Anthony, the brethren dug a large cave and built a church and cells for the monks within it. 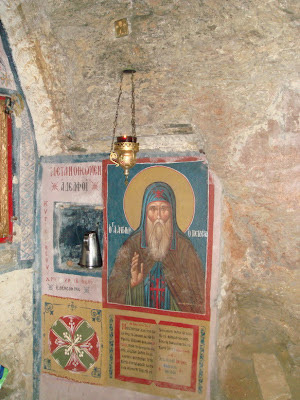 After he appointed Abbot Barlaam to guide the brethren, St Anthony withdrew from the monastery. He dug a new cave for himself, then hid himself within it. There too, monks began to settle around him. 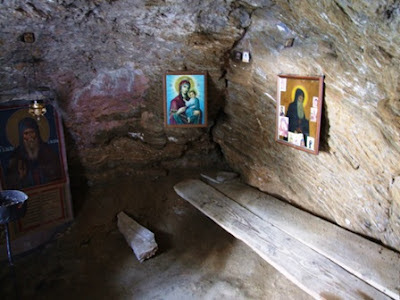 Afterwards, the saint built a small wooden church in honor of the Dormition of the Mother of God over the Far Caves. At the insistence of Prince Izyaslav, the abbot Barlaam withdrew to the Dimitriev Monastery. 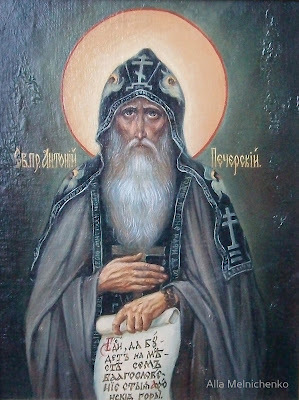 With the blessing of St Anthony and with the general agreement of the brethren, the meek and humble Theodosius was chosen as abbot. By this time, the number of brethren had already reached a hundred men. The Kiev Great Prince Izyaslav (+ 1078) gave the monks the hill on which the large church and cells were built, with a palisade all around. Thus, the renowned monastery over the caves was established. Describing this, the chronicler remarks that while many monasteries were built by emperors and nobles, they could not compare with those which are built with holy prayers and tears, and by fasting and vigil. Although St Anthony had no gold, he built a monastery which became the first spiritual center of Rus. For his holiness of life, God glorified St Anthony with the gift of clairvoyance and wonderworking. 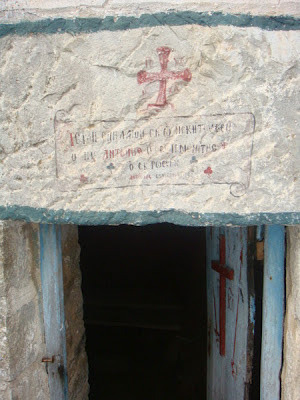 One example of this occurred during the construction of the Great Caves Church. The Most Holy Theotokos Herself stood before him and St Theodosius in the Blachernae Church in Constantinople, where they had been miraculously transported without leaving their own monastery. Actually, two angels appeared in Constantinople in their forms (See May 3, the account of the Kiev Caves Icon of the Most Holy Theotokos). Having received gold from the Mother of God, the saints commissioned master architects, who came from Constantinople to the Russian land on the command of the Queen of Heaven to build the church at the Monastery of the Caves. During this appearance, the Mother of God foretold the impending death of St Anthony, which occurred on July 10, 1073. Through Divine Providence, the relics of St Anthony remain hidden. From your youth you gave yourself to God whom you loved above all, O Venerable One; and in love you followed after Him with your whole soul. Scorning the passing corruption of the world, you made a cave in the earth; and in it you struggled nobly facing the snares of the invisible enemy, while illumining the ends of the earth like a bright, shining sun. Therefore, with rejoicing you entered into the heavenly chambers. Standing now before the throne of the Master together with the angels, remember us who honor your holy memory, that we may cry out to you: Rejoice, Anthony our Holy Father!